Video Examples - Egeland Wood & Zuber, Inc.
Video is getting more and more important if you want your business to get noticed! A video will allow you to showcase your business’ strengths and stir emotions that will lead to more sales. Did you know that YouTube is the second largest search engine? Yes, it is. Google is number one and guess who owns YouTube? Putting a video up on YouTube tells Google that your business is IN business and has a message to share. We will help you craft that message and create videos that will appeal to your audience. Once created, a video can be uploaded to YouTube, Facebook, Instagram, and any other social media site that you choose. 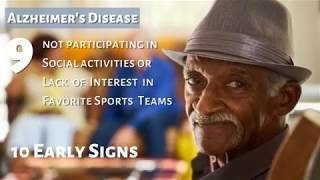 The video can also be displayed on your website and included in digital direct mailings. One video will give your business many impressions that Google will notice. Search engines will see the videos and deliver them up on the search results. If a picture paints a thousand words then video paints 30 thousand words per second! A video is 30 frames/images per second. Don’t waste another second…start creating videos TODAY! 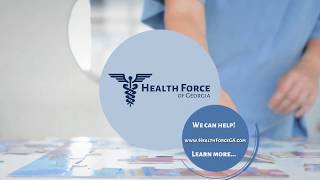 Georgia Waiver Programs make it possible for Eligible Georgia Residents to receive Home Health Care Services for little or no cost under the Georgia Medicaid Program. 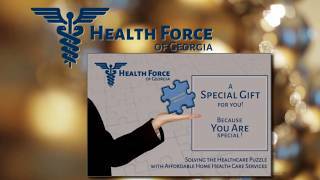 Health Force of Georgia will help you put together the pieces of the health care puzzle to find a waiver program that fits your needs. Waiver programs by the state of Georgia provide the help needed by the elderly or disabled individuals to continue living in their homes or communities instead of a nursing home or institutional surrounding. 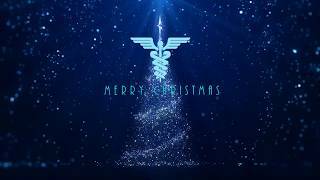 During the 2018 Holiday season, the office will be closed Christmas Eve, Christmas Day and New Year's Day. We can still be reached on-call at 770-458-8500. Five Bits & Bytes Farm Thoroughbreds loaded up and headed south to a day of fun and friendship at the Chatt Hills Hunter Pace. Our rides for the day were C For Chant, Running Tall ('Atticus'), Call Me Ferdie, Saint Lawrence and Made In Her Image ('Mae') who attended her first big event since leaving the racing world in December 2018. We celebrated Made In Her Image's fourth birthday with a ride and a picnic. 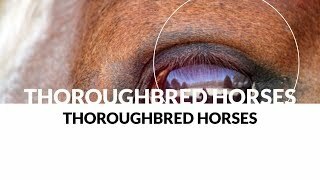 Visit the Bits & Bytes Farm social media sites for more video, stories and Thoroughbred horses for sale. Or better yet, give us a call: 770-704-6595 and join us on our next outing! 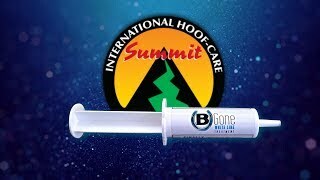 Louise (B Gone White Line Treatment Rep): We’re at the International Hoof convention, and you said that you like B Gone. Ethan (Farrier Customer): Yeah. It really works. Louise: How long have you been using it? Ethan: I’ve been using this for this whole season. I heard about this from another farrier friend of mine. And I’ve always kind of been on the fence of things working or not. A lot of horse owners are not going to do the soaking boots or not do it to the proper specifications of the manufacturers. But that right there is pretty simple stupid stuff. So it works. Louise: Awesome. We’re so glad you’re happy with our product. Thank you so much. When you cannot be there to help, Health Force of Georgia can. 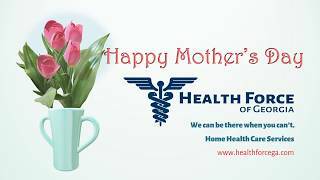 When you can't be there for Mom, call on Health Force of Georgia for help. We can help with meal preparation, companion care, personal care, light housekeeping, medical assistance and even skilled nursing. We will accompany Mom to her doctors' or hairdresser appointments or to pick up her medications or groceries. Now you can be sure that Mom gets the help she needs even when you can't be there. Four Bits & Bytes Farm Horses and six friends attended the Shakerag Fox Hunt in Hull, GA today. Rocky Bear, Saint Lawrence, Brewster and Political Pull all did great! 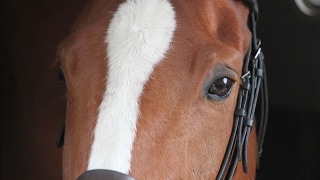 Brewster began his off-track career fox hunting here in 2003! This was Rocky Bear and Saint Lawrence's first hunt and they did us proud. Rocky loved it! Saint Lawrence and Political Pull have been to several hunter paces and they handled this with ease. Special thanks to Sarah Berhalter for all her help grooming and shooting photos. Rocky especially needed her skills to get his tail clean after the trailer ride to the hunt. He had two baths before leaving the farm including a special appointment with his personal Buckhead stylist Allison McTigue. 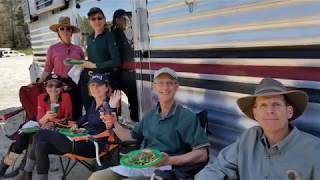 Kathy Duke braided Saint Lawrence and trimmed all the horses the day before the hunt. Barry was our designated driver and additional photographer. We had cameras with us on the hunt both with the riders and our 'grooms' on the Tally Ho wagon. As I like to say, "A day of fox hunting, a lifetime of stories!" It was great catching up with so many of our former fox hunt friends from several hunts. Thank you to Shakerag Hounds hunt for making this a great day for all involved. The staff was welcoming and helpful at all times. We were even treated to a Tally Ho of a coyote! How special is that? There was a time when White Line Disease meant hoof resection and soaking. Riding was put on hold. 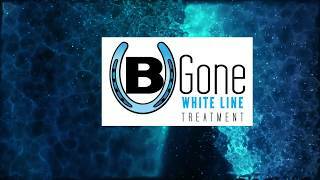 But, now there is a fast and inexpensive alternative that you and your farrier can use instead... B Gone White Line Treatment. 1. Clean the bottom of the hoof of dirt and debris. 2. Remove the shoe, if needed, to get directly at the affected area of the white line. 3. Using a nail, debride the affected area. 4. 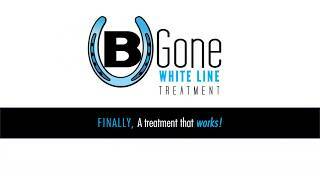 Apply a thin line of B Gone White Line Treatment around the white line using the convenient syringe. Put it right on the area where it’s needed. 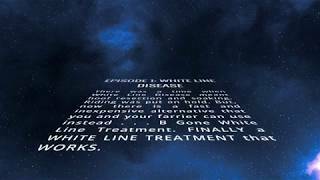 Treating healthy areas of the white line will not harm it.